SD Card is a widely used storage device to store pictures, documents, messages, etc. But unfortunately, various factors such as accidental deletion, formatting, SD card corruption, virus attack, etc. Therefore, it is imperative that we need an SD Card data recovery software to recover lost data. 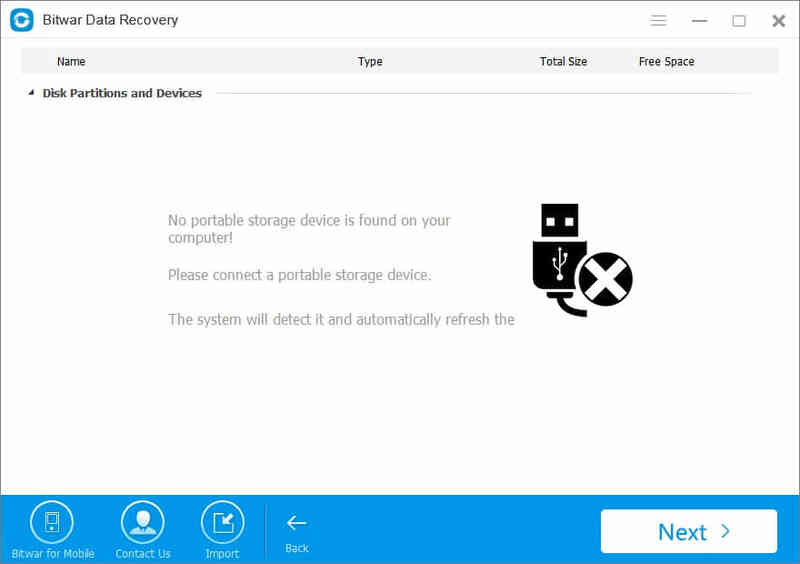 Before introducing how to Free download SD Card data recovery software to recover lost data, let's pay attention to Is SD card recovery possible. Is SD card recovery possible? Usually, when you failed to find your data on SD card after some unexpected accidents, for example, accidental deletion. You need to understand that the lost files are always hidden somewhere in your SD card, you still can restore them as quickly as possible before overwriting. How to recover lost data from sd card? To solve this complex problem of recovering lost data from sd card, we will introduce you Bitwar Data Recovery Software. It is a risk-free data recovery program for recovering deleted files including documents, photos, videos, music, and up to 500+ file types, of various kinds of storage media like hard drive, removable hard drive, digital camera sd card, USB drives. Step 2：Connect your sd card which lost data to the computer with SD Card Reader and select it. Step 3: Select the file types. The Bitwar Data Recovery supports all file types: pictures, videos, audio, emails, documents, and others. Then click "Next." Bitwar Data Recovery will start to scan. you will see all missing data that match the selection will be listed. After a scan, you can make a selective recovery with Preview before recovery to determine which one you want. Choose the data you want to recover from the scanning results. Click "Recover" to get them back . Here you should save all the recovered files on computer disk to avoid data overwriting. DO NOT save the files into your SD Card where you lost data. Following this action, the deleted files on SD Card has been recovered. then please remember to backup them. Thus, if data are lost caused by various reasons including mistaken data deletion, accidental SD Card formatting or deletion, hardware failure and so on, you can easily and quickly restore lost data from backup files.